Flowering Season: Spring, Summer, Fall. 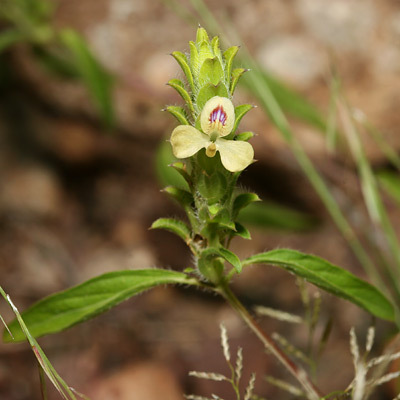 This wildflower mainly blooms after the summer monsoon rains. 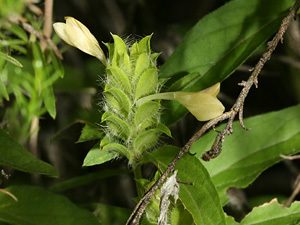 Description: The flowers emerge from between leafy bracts on hairy, 4-sided flower spikes. The individual flowers are tubular and have an upper lobe with a central violet patch and a yellow base, 2 side lobes, and a folded, projecting lower lobe. The leaves are green, opposite, and lanceolate in shape.